Below are the digital pencils for another small part of a large piece featuring a LOT of folks. 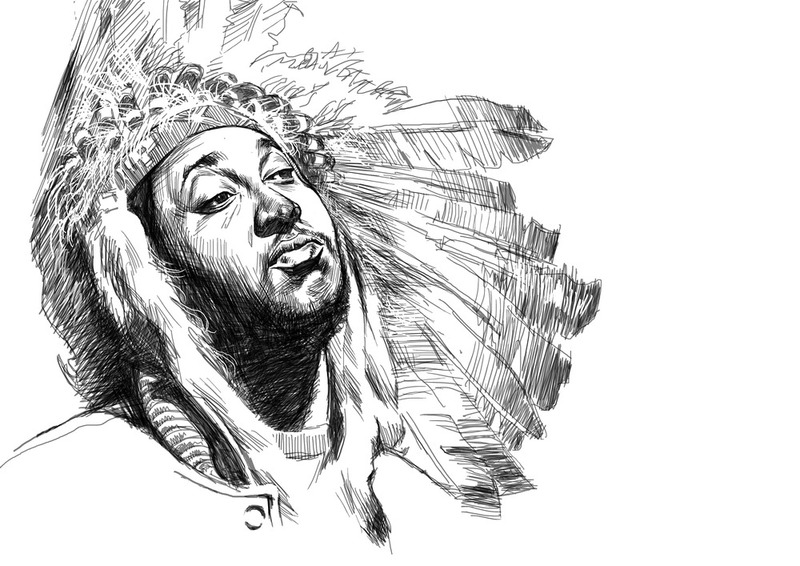 This part depicts one of my favourite artists of the last few years - Thundercat! I discovered this talented guy through his collaborations with Flying Lotus and have had his two albums 'The Golden Age Of Apocalypse' and 'Apocalypse' on loop continuously for the last year or so. Went to see him in Shoreditch last year and he was pretty amazing. Can't say enough good things about the guy and his work, other than to do yourself a favour, purchase the albums and listen. You won't be disappointed.